Most artists desire the fame and fortune, but Blok Beeze has a goal to pave the way for those with a dream. His literal phrases and precise lyrics allows for his fans of all backgrounds to make an emotional connection. Blok Beeze wants to show that the south has more to offer than just the use of 808’s and metaphors. In his upcoming mixtape “Debonaire Muziik,” which is set to release at the beginning of August, he puts an end to that stereotype. Native of Dothan, Alabama –born David Lee Blocker Jr. – he expresses his passion for music by sharing his life’s struggles and experiences in his lyrics. Blok Beeze is not only lyrically profound but holds the skills of both producing and song writing as well. His musical career was ignited at the age of four when he received his first pair of drumsticks. His motivation solely reflects his promise to his deceased brother to move forward with his dreams and drive closure despite opposition. He later learned the skill of production after meeting DJ/Producer, Derek “DJ D-Rock” Newsome and begun to focus on studio writing and recording. 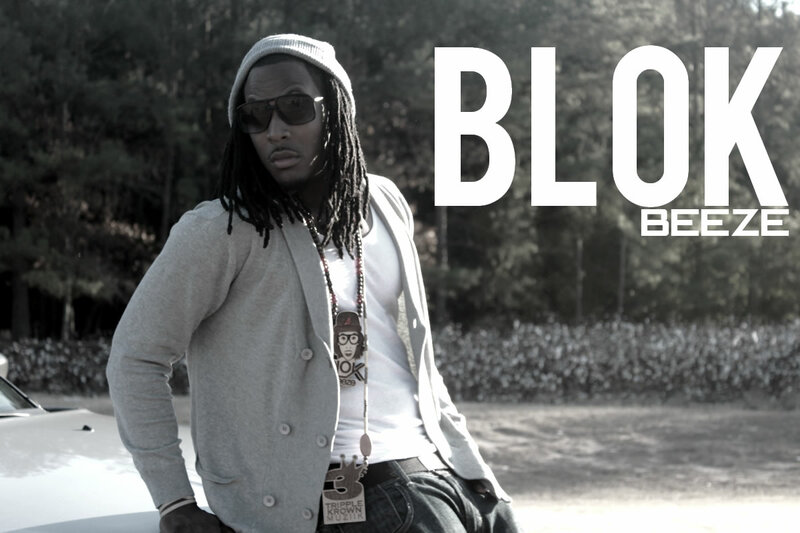 Being persistent and diligent has led Blok Beeze to co-producing tracks with popular group First Fam. With academic ambitions, he graduated from Wallace State College in 2006 with an Associates of Arts degree in Recording Industry Management with a concentration in Music Business and a degree in Audio Engineering at the Art Institute of Atlanta. He quickly organized a movement with two of his peers called Tripple Krown Muziik. The movement is a combination of goal-oriented, talented artists and producers who will stop at nothing to succeed. Throughout his college days Blok Beeze and other students arranged soulful night performances on and off campus which quickly helped him gain a strong fan base due to his high energy stage presence. “My pain, joy, and shame are delivered to the world, show casing me as an artist and as a person. I feel I have everything to prove to the corporate world, the streets, and in society. 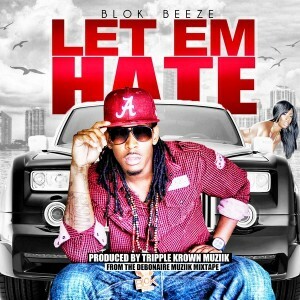 By sharing my unique journey with the world, they will accept and respect me, and definitely will never forget me,” says Blok Beeze. In 2006, Blok Beeze formed a group with close friend Luccie, called iFLY. The combination of their writing and production skills helped them gain recognition in Atlanta, Georgia. The release of “Internationally Fly” in Nov of 07’, “Milayo Drive” in February of 09’ and “Bring it Back” in August of 09’ started their buzz around Atlanta. Blok Beeze chose to continue as a solo artist in 2010 and released club banger “This My Type of Party.” The release of his mixtape in September of 2010, “Crimson Tide,” gained him recognition nationwide and a feature in My Swag Magazine’s September 2010 issue. He also was labeled as the “Next to Blow” in the popular online publication Music is Life Magazine’s December 2010 issue. Blok Beeze continues to intrigue the ladies with his raspy voice on his new single “Rollercoaster Love” featuring the upcoming R&B duo Party of Two. His previous single “I’m Dope” still is in rotation on his hometown radio station, Blazin’92.1 Jamz. Blok Beeze is featured in hip hop artist Diamond’s new “Honey Bun” video showcasing his acting skills. He gained a spot on Wisconsin’s top dj, Dj Pain1’s new album released in May 2011 with the feature on the “Outlaw” remix with J. Stills and Shawnna. He also has a full spread interview in the May issue of Hot Atlanta Tattoo Magazine. After writing and producing his whole mixtape by himself, “Debonaire Muziik” is set to release this fall.